What I really admire about their glasses is that they have a modern vintage appeal to their pieces. They offer a great variety of designs, colors, and patterns to stay dapper or fashionable all season long. As a customer, you want to search for that perfect pair that feels like a designer collection, fits your personality, and best of all won’t break your bank account. Warby Parker exceeds these requirements. Their eyewear glasses are actually designed exclusively at their headquarters in New York where each season they introduce a new collection for customers to purchase from. These pieces are made from the highest quality materials that offer 100% UV protection, and are sold online at a beginning price of $95 to $150 for prescription sunglasses. Also, for every pair sold, another pair is donated to someone in need, which is something very kind and charitable coming from a company. What else do you want when you know you’re not purchasing any sort of eyeglasses or sunglasses, but an authentic brand collection that offers luxury and charitable aid? For this spring’s limited edition collection, Warber Paker decided to travel back to the festive year of 1922. Their inspiration was taken back into 1922's year of iconic literature pieces that were published. James Joyce published Ulysses; T.S. Elliot published The Wasteland. Eugene O’Neill won a Pulitzer in literature. And music may have been another big factor in this year, such as the influence of Louis Armstrong. Life was simply about literature and dance which would later open the doors to the roaring twenties. Being that this brand approaches more towards the vintage aesthetics, this 1922 Collection translates that interwar glamour into a wearable future, as the brand implies. 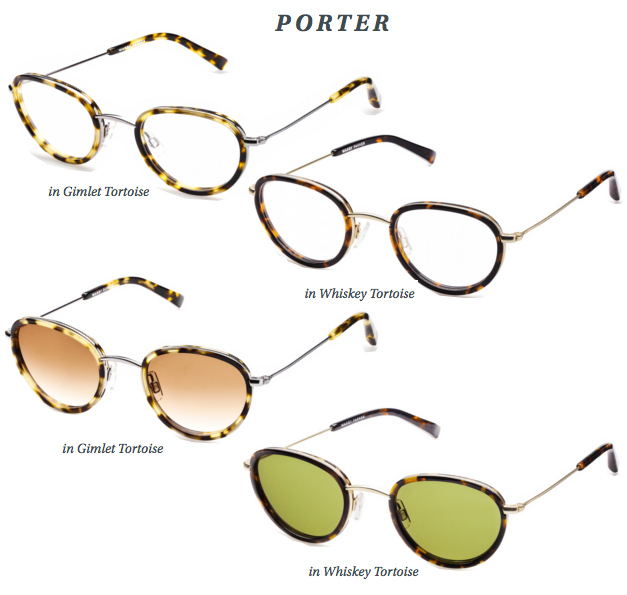 Each of the three new unisex frames – Porter, Duke, and Joplin – come with sunglass versions that features dramatic details in custom acetate and lightweight stainless steel. 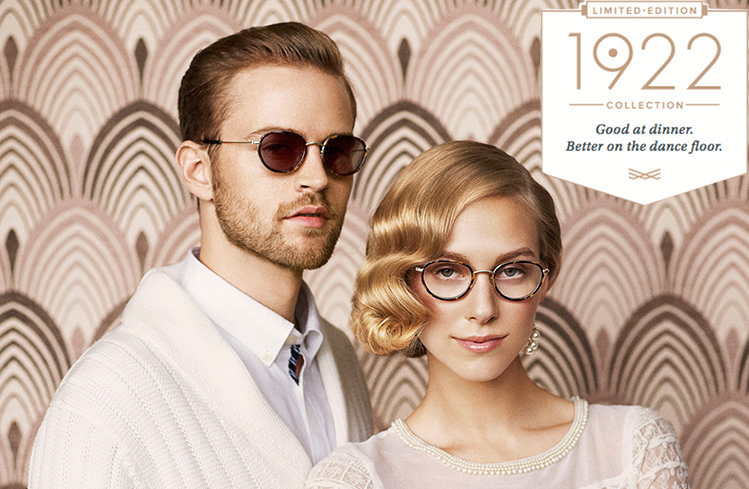 I would definitely take a look at Warby Parker’s eyeglasses and sunglasses 1922 Collection. There is no excuse to not try on a pair of these glasses. If you’re excuse is I live far away from New York, then think again. Warby Parker offers a Home Try-On program where you can order 5 pairs to try on and see if you like the style – shipped for free. It doesn’t hurt to look good and help others along the way. As of now, Warby Parker recently opened their first flagship retail store located in Soho’s historic Cast Iron Disctrict in New York. If you ever get the chance to travel to New York, you should visit this place. Hopefully, this retailer will begin to expand soon in other states, and best of all, keep donating. Which of these 1922 Collection frames would you buy?